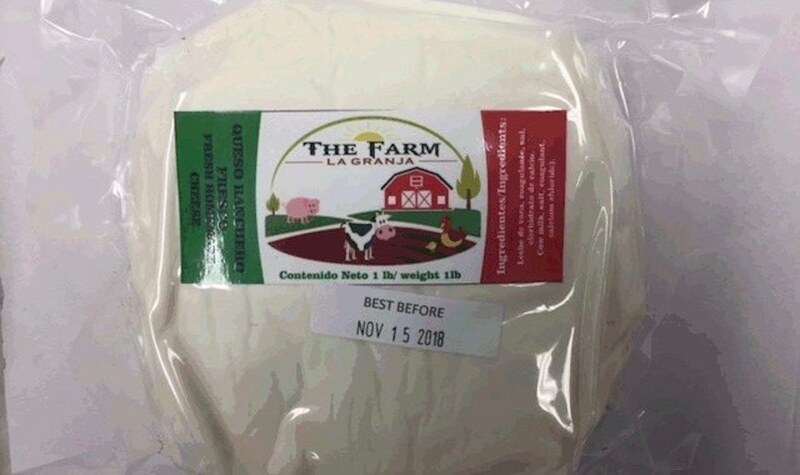 La Granja Foods is recalling The Farm La Granja brand Queso ranchero fresco from the marketplace in Canada for possible E. coli O157:H7 contamination. There are illnesses that may be associated with the consumption of this recalled product. The recalled food is The Farm La Granja Queso ranchero Fresco, sold in 1 pound containers. All Best Before Dates up to and including November 15, 2018 are recalled. There is no UPC number on the product. The recall was triggered by Canadian Food Inspection Agency test results. The CFIA is conducting a food safety investigation. Officials are verifying that the company is removing the recalled product from the marketplace. The symptoms of an E. coli infection include a mild fever, severe abdominal and stomach cramps, and diarrhea that is usually watery or bloody. Symptoms usually start a few days to a week after eating food that is contaminated with this pathogenic bacteria. If the patient is under the age of 5, a complication called hemolytic uremic syndrome (HUS), may develop, which is a type of kidney failure. This complication has symptoms of little urine output, lethargy, pale skin, and easy bruising. HUS can cause seizures and strokes and can be fatal. If you purchased this product, do not eat it. Throw it away in a wrapped package in a secure garbage can. You can also return it to the store where you bought it for a refund. Wash your hands well with soap and water after handling this product. The cheese was sold in Alberta at the retail level.